The Township launched a Blue Star Banner Program in June of 2011, in order to give its residents the opportunity to show their support to the family members of those serving in the U.S. Armed Forces (including those in the National Guard and Reserves who are currently serving in ACTIVE DUTY). The recipient (authorized family member) is invited to attend a Township Board Meeting where they are presented with the Blue Star Banner and a special Resolution in their honor. The recipient’s Mayor/Village President are also invited to participate in the Blue Star Banner presentation that evening. The Blue Star Banner is to be displayed in the window of an authorized family member to let the community know that someone in the home is proudly serving our country. 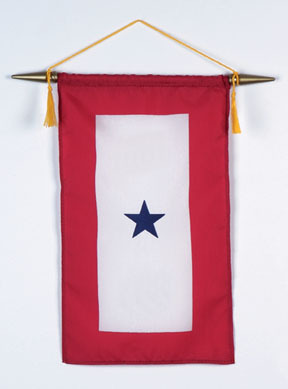 View an informative video on the Blue Star Banner and its history. 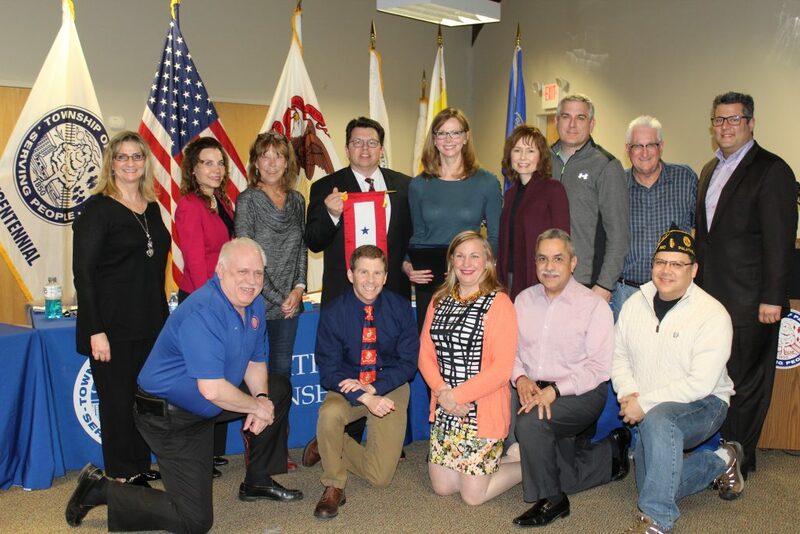 Palatine Township would like to thank the First United Methodist Church of Palatine for their generous contribution in covering the cost of the Blue Star Banners.